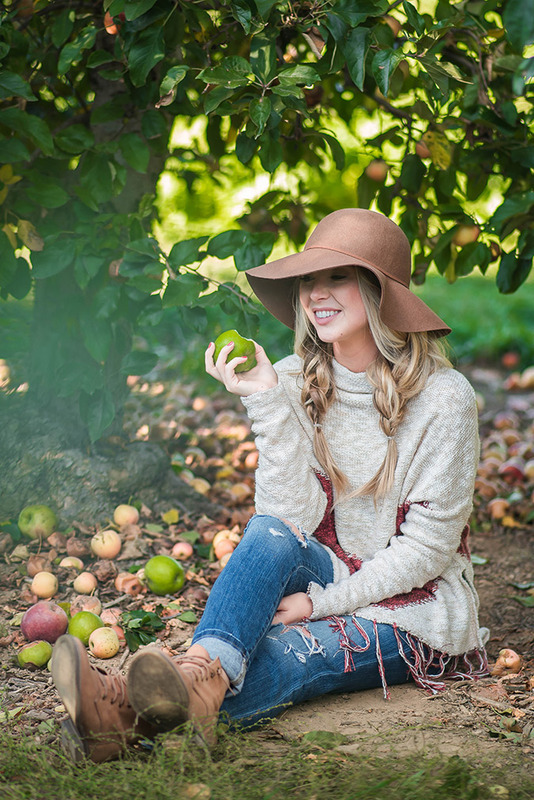 Congrats Anna Elizabeth, your perfect mixture of autumn has earned you a spot as our newest Chic of the Week! 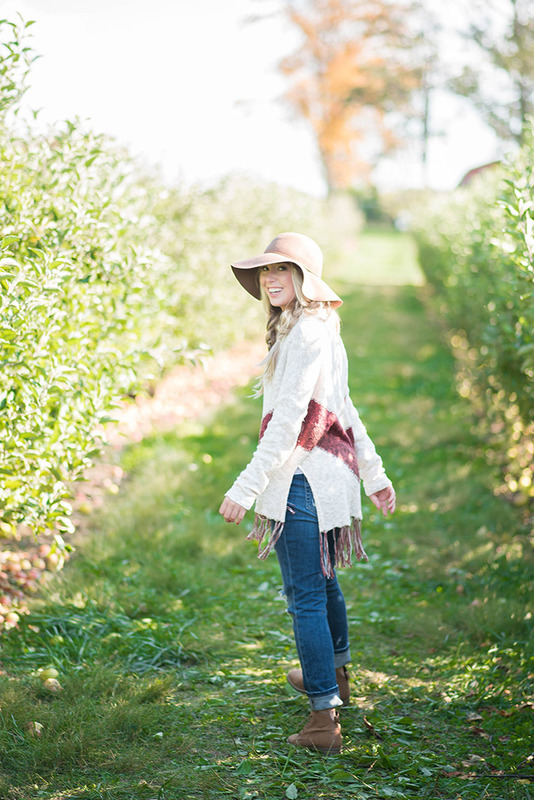 I wore my usual Sunday outfit, which consists of my favorite jeans in the whole world (Joe’s Jeans, which I wear at least 3 times a week), an over-sized sweater, lace up booties, and a big, floppy hat. It was the perfect outfit for running through the orchard and lying in the middle of a row taking selfies with the girls. Thank you so much for sharing, Anna Elizabeth! How do you style your favorite fall pieces?